It was a day full of surprises at the Barnes Tennis Center in San Diego, California, where one of the few things that went as expected was the sunshine and 70 degree temperature. Alyssa Smith continued to enjoy the home state advantage as she made her way into the semifinals of the Girls' 16 singles draw. Today it was Cassandra Vasquez whom she eliminated and it wasn't easy - at least not in the first two sets. The Houston, Texas, native took the first set 7-5 and then kept it to just one break loss in the second, but it was all Smith in the final set for the 6-0 win. She will be facing No. 14 Dasha Ivanova in the semis on Friday. Dasha also has a tough first set, but she pulled it out at 7-5 and then took a 6-3 over No. 4 Spencer Liang, who appeared fatigued from a long summer of play. Spencer will have a chance to get her revenge as she and partner Mariana Gould will be playing Ivanova and Mia King (above) in the Girls' 16s doubles final on Friday. 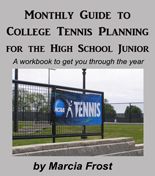 The bottom half of the Girls' 16s singles was quite different from the top. Third-seeded Peggy Porter had no problem getting past No. 17 Elizabeth Profit (left). 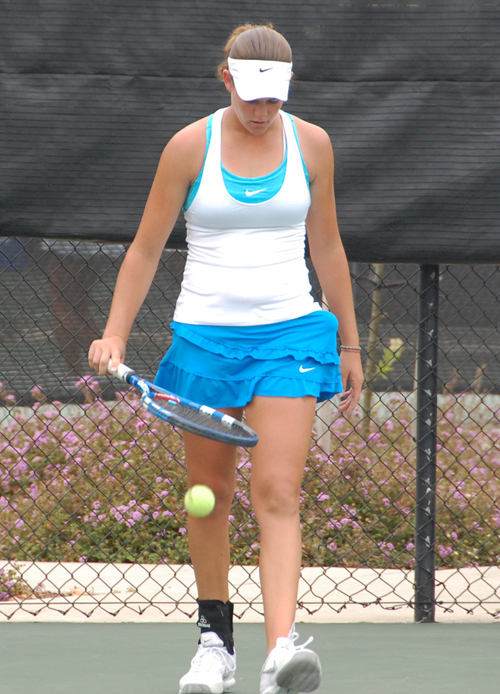 The California teen did it at 6-2,6-1, securing her place in the semis without having given up a set in the tournament. 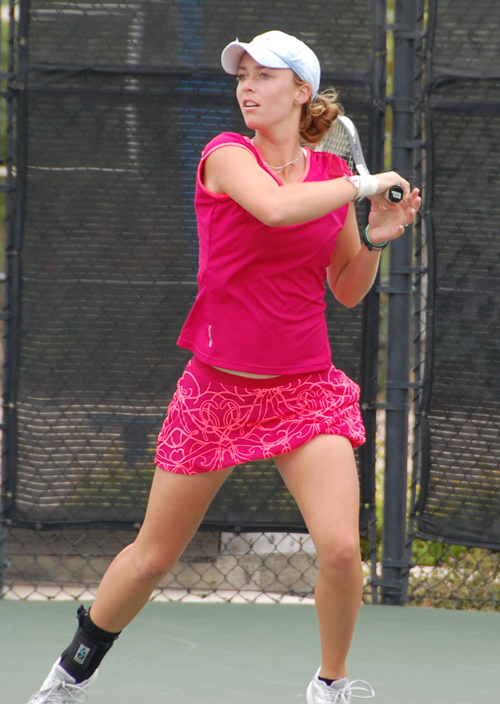 It was also another easy match for Scarsdale, New York's Katrine Steffensen. Katrine didn't even have to play a second set as opponent Emma Alderman retired after the first set due to a stress fracture in her foot. It was only the round of 16 for the Girls' 18s, yet the level of competition was top notch with some unexpected contests, starting at the top. The final score may have been a straight set 6-3,7-5, but that doesn't begin to tell the story of the match between No. 1 Lauren Davis and No. 11 Liz Jeung (below). Those two sets took about three hours and included a set point for Liz at 5-3, before Lauren came back and won four straight games for the match. 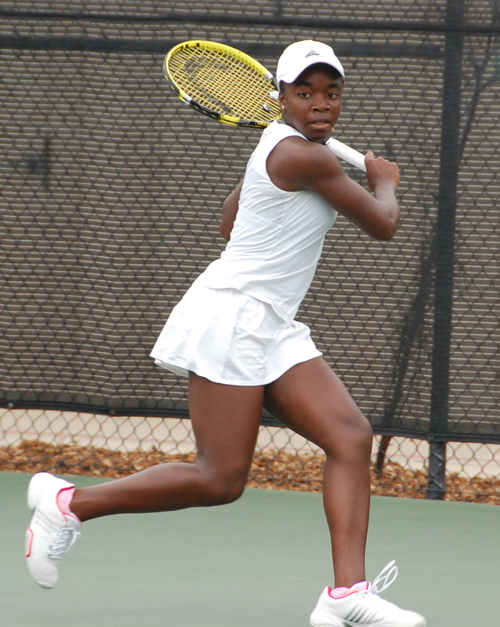 The top seed will face Victoria Duval (16) in the quarters. Victoria and Grace Min (6) both exhibited power and speed on the stadium, but it was Victoria who went the extra bit for a 6-3,7-5 win. 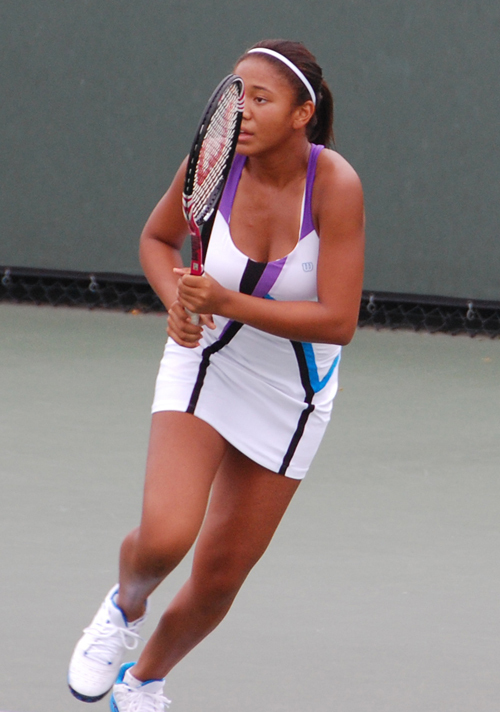 It was a similar situation on Court One, where ninth-seeded Taylor Townsend shocked third-seeded Madison Keys, 6-4,6-3. Until this match, Madison had only lost one game the entire tournament. 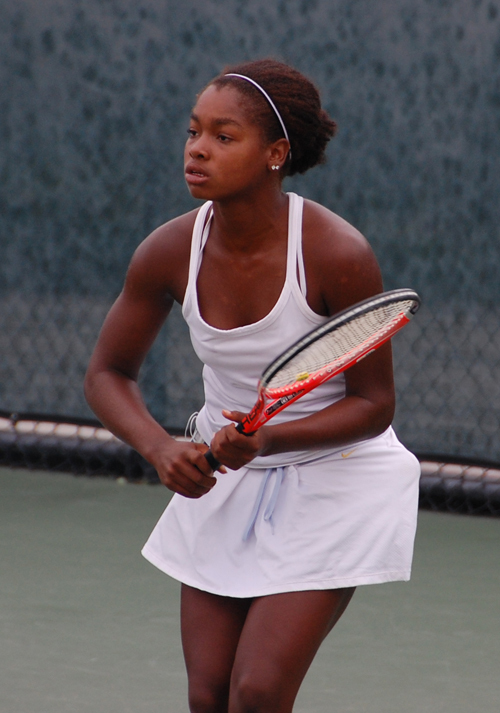 The next opponent for Taylor Townsend is one that has definitely wrecked havoc on the draw. Unseeded Hayley Carter took out her third top player today, this time earning a place in the quarters with a 4-6,7-6,6-2 win over Gabrielle Andrews (7). With the win Hayley also garnered the honor of being chosen Thursday's Babalot Player of the Day. 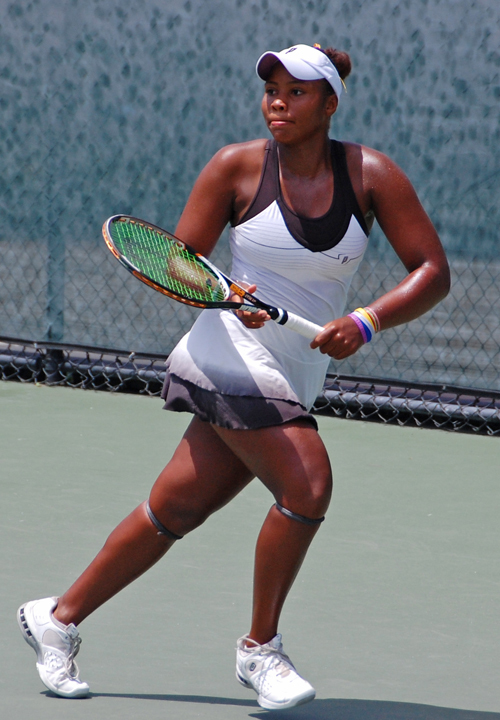 Only Robin Anderson still has the opportunity to pick up singles and doubles titles in the Girls' 18 Nationals. 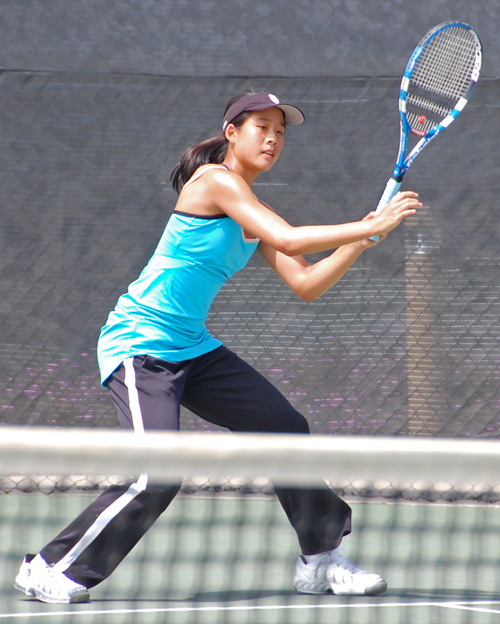 Robin and partner Ellen Tsay advanced to the semifinals with a 6-1,7-5 win over Georgians Kourtney Keegan and Megan Kurey. 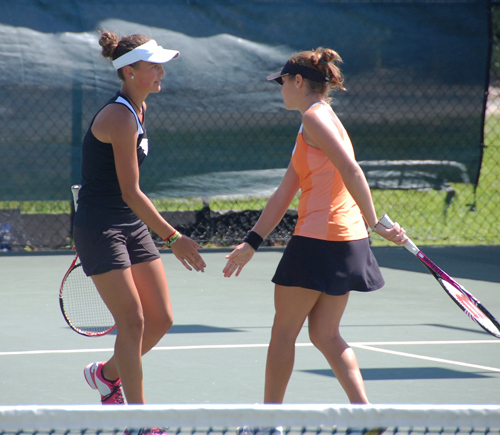 They will face Jennifer Brady and Kendal Woodard (9), victors over Mackenzie Craft and Chalena Scholl (7), 6-1,7-5. The second semifinal will be between Kyle McPhillips and Chanelle Van Nguyen (8), 4-6,6-2,1-0(11/9) winners over Brooke Austin and Hannah King, and Samantha Crawford and Madison Keys, who beat Denise Starr and Rohit Yurovsky, 6-4,6-3. I am looking forward to the Final Eight Dinner Beachside Dinner at the La Jolla Beach and Tennis Club Friday night. In the meantime, I was happy to at least make it down to the restaurant at the Hilton San Diego Mission Valley for some delcious mac & cheese and grilled vegetables at a table without a computer.